Located in Verona (Cittadella), this property is within a 10-minute walk of Verona Arena and Castelvecchio. This property is 0.5 mi (0.7 km) from Ponte Scaligero and 1.1 mi (1.7 km) from Basilica of San Zeno Maggiore. Make yourself comfortable in this air-conditioned accommodation, featuring a kitchen with a full-sized refrigerator/freezer and a stovetop. A flat-screen television with cable programming provides entertainment, while complimentary wireless Internet access keeps you connected. 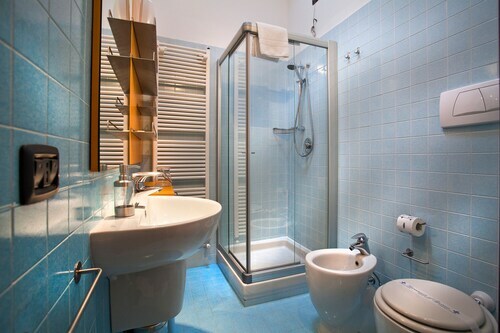 Conveniences include a separate sitting area, and a crib/infant bed (surcharge) can be requested.